NEW DELHI — In an article in The Atlantic, Patrick Collison and Michael Nielsen express their concerns about the perceived slowdown of scientific progress. With "more scientists, more funding for science, and more scientific papers published than ever before," they ask whether the rising investment in scientific research is yielding proportionately rising dividends, or whether we are "investing vastly more merely to sustain (or even see a decline in) the rate of scientific progress?" Yet, as they concede, it's unclear how to measure the rate of scientific progress. 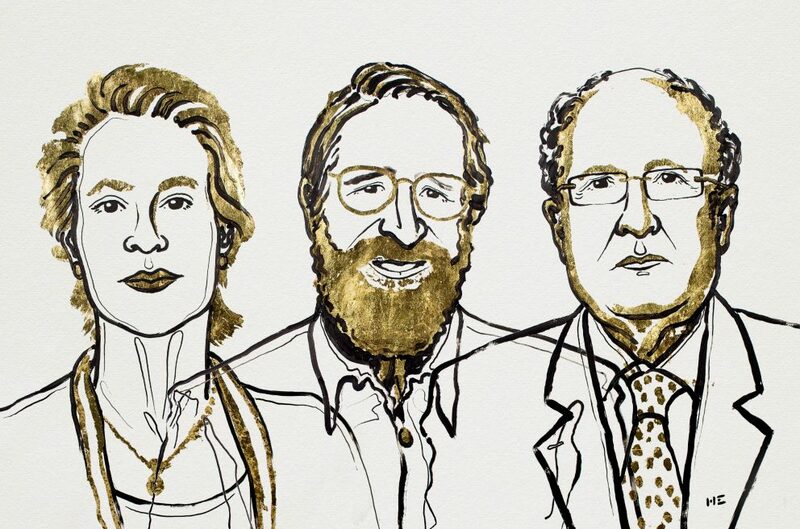 Much ink has been spilled on the misplaced reification of the Nobel Prizes. The Wire: It presents "a lopsided view of how scientific research has been undertaken in the world." The Atlantic: "The discoverer is forever billed as an intellectual force in their own right — creating an equivalence between one historical contribution and their entire portfolio of ideas forevermore." Then, there are the shocking omissions: Rosalind Franklin, Vera Rubin, Jocelyn Bell Burnell and E.C.G. Sudarshan, to name just a few. These important criticisms are sociological in nature. However, the importance of the scientific work itself is rarely in question. The results of the Collison-Nielsen survey (across the sciences) seem to show that science is becoming "less efficient" and suggest "strong diminishing returns to our scientific efforts." The notion that the state invests in science to secure awards for its scientists is laughable. Beneath the idea that scientific understanding has not grown with investment in scientific research lies what seems like a truism — that research's only purpose is to produce discoveries and inventions. In isolation, this is an innocuous statement. PhDs are in fact awarded for original research, aren't they? But science as a state-funded activity does not exist in isolation. Ashis Nandy has written that since the Cold War, science has served as a reason of state, along with national security and development. In particular, states "sought to out-rival another … not in the political or military arena, nor in sports, but in science redefined as dramatic technology." It is no wonder that governments rejoice like research institutions when a Nobel Prize is awarded to one of their own. The scientist's role must be understood in relation to society, not in isolation. First, she has to conduct research in her field of study. In addition, she is also typically required to teach at universities, research institutions and workshops, and mentor graduate students and postdoctoral fellows. A recent addition to this list is that she engage in scientific outreach as well. Framing science as a reason of state, and as a source of legitimacy of the state itself, is important. Now, we can ask: what does this publicly funded venture intend to achieve? The notion that the state invests in science to secure awards for its scientists is laughable. Most scientists would balk at the thought of working solely for monetary gain or recognition. Similarly, the idea that state-funded scientific research exists only to create more scientists (than are needed to keep universities functioning) is self-serving and absurd. However, a popular but pernicious view is that science is pursued for its own sake. This is troubling because it refuses to admit any context. This way, the scope for activity and interests of the working scientist are circumscribed by the physical walls of the institution. In Nandy's words, scientific activity in this worldview "keep[s] the practice of science outside politics" but maintains the "direct, privileged access to the state" that scientific institutions enjoy. Thus, the scientific establishment and the state legitimize each other and, in the process, the former abdicates its responsibility to the people. A more democratic view of scientific research is as a vehicle exposing the citizenry to a method of analysis that is systematic and comprehensive. Its essential method can be used to study more complicated questions in city planning, economic policy, public health, etc. We need to structure higher education in the sciences to allow for lateral moves. For this to happen, the structure of higher-education programs needs to be modified so they produce graduates of use to society's wider needs. For example, higher-education programs in the sciences could also train would-be graduates to teach middle- and high-school students, qualifying them for government jobs in the education sector. A graduate student studying epidemiology could, through changes in the academic pipeline, acquire additional qualifications in public health administration. Academia has always seen scientists who fail to secure a permanent position in academia as failed academics. This is unfortunate. We need to structure higher education in the sciences to allow for lateral moves, from science to public administration, to economic planning, to education, etc. Whether science is "getting less bang for its buck" is not terribly important. Science is harder today because the questions we are asking are more nuanced, the experimental techniques are more sophisticated and the systems of study are more complex. It will take time, but we will get there. In the words of the mathematician David Hilbert, "We must know — we will know!"